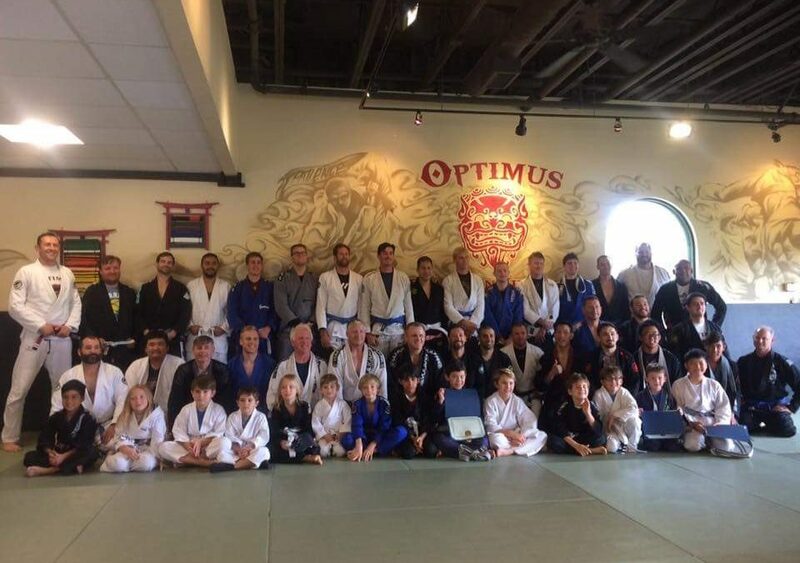 Congratulations to all Optimus Academy Brazilian Jiu-Jitsu students who received their Belt & Stripe Promotions this month. As a jiu-jitsu family, we celebrated 55+ youth & adult students who demonstrated the commitment & discipline required to advance to the next level in their jiu-jitsu practice. 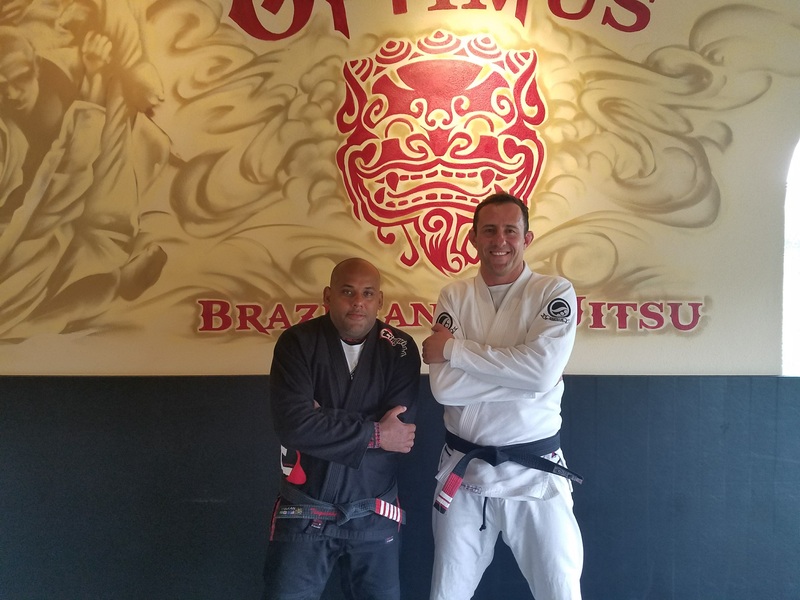 In addition to the ceremony, Professor Mauricio “Tinguinha” Mariano, owner of Tinguinha Brazilian Jiu-Jitsu and my Professor, taught a special jiu-jitsu seminar to all those in attendance. I was also honored to receive my own promotion to 2nd degree black belt from professor Tinguinha. 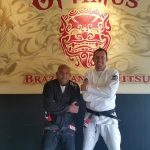 Professor Grant Collins Promoted to 2nd degree black belt. All of the students who received a promotion met or exceeded this criteria making their stripes and belts hard-earned well-deserved marks of their personal progress. Practicing jiu-jitsu not only takes commitment, discipline, and focus — both on and off the mat — but, it requires mental & physical fortitude as it is simultaneously challenging and rewarding, humbling and empowering. A student’s journey through jiu-jitsu will have peaks and valleys; and, it will not be linear. Some stripes and belts take longer than others to achieve, even for the most dedicated student. However, those students who stay committed to their martial art practice, maintain mental fortitude, and keep their sight set on the long-term will be able to endure the plateau to discover their next breakthrough. Recognizing students for their ongoing effort, endurance, and resiliency is an important part of the jiu-jitsu journey. Below is a list of those students we celebrated during this past Belt & Stripe Promotion. Congratulations! To all: keep persevering! The journey is for life.